Īpašas atzīmes Paklāju var izmantot mājās, automašīnā vai ārpus telpām. Viegla tīrīšana, vienkārši noslaukiet to ar mitru dvieli. The mat does not require any special preparation. Just put on and it's already ready. The carpet activates on the animal lying on it, from body pressure, and cools its body while lying down. 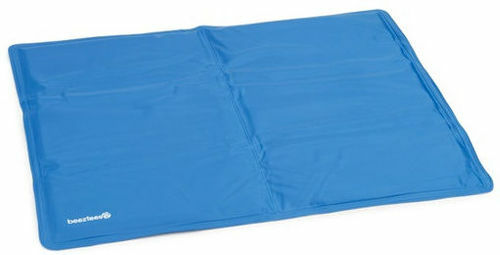 The mat works for several hours. To re-activate the animal, you just need to stay at least a few minutes on the mat and reactivate it. The carpet can be used at home, in a car or outdoors. The carpet is easy to maintain by simply wiping it with a damp towel.